Superintendent Joseph Johnson was born in East Saint Louis, Illinois. He is the fifth of nine children born to Deacon Roosevelt and Mother Willie Mae Johnson. Superintendent Johnson attended the Eastside Independent Schools and graduated from Cahokia High School. He attended Bellville Jr. College, Bellville, Illinois; University of Northern Colorado, Boulder, Colorado; the International Seminary Plymouth, Florida and Wayland Baptist University, San Antonio, Texas. He holds Associates of Arts Degree in Logistic Management and a Bachelors of Science Degree in Human Services. In June 1973 he enlisted in the United States Air Force where he faithfully served for over 24 years. He has served in Korea, Japan, Philippines, Okinawa, Saudi Arabia, Turkey and several bases throughout the United States. He was brought up in the Church of God in Christ and received Jesus as his personal savior under the leadership of the late Bishop Claude Ratliff Jr. The call to preach the gospel came in May 1984 and he was ordained in September 1986, by the late Bishop Archie Buchanan. His first pastoral appointment was the “New Community Church of God in Christ”, in Angeles City Philippines. He also served as assistant pastor for Westside Church of God in Christ in Pensacola, Florida under the Late Pastor Brit Jackson. In November of 1995 the military transferred him to San Antonio, Texas where he faithfully served at Dominion COGIC under Superintendent Geoffrey Stirrup. 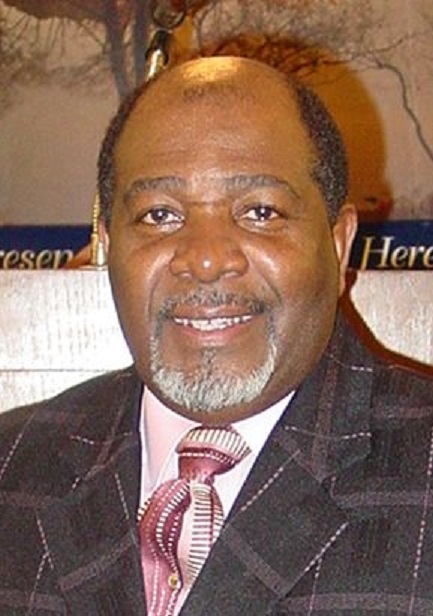 Superintendent Johnson was appointed pastor of Emmanuel Pentecostal Church of God in Christ on May 30, 2004. Under his leadership the church is growing and prospering both spiritually and financially. God has anointed him for this hour to reach lost souls. His heart’s desire and prayer is that the people of God would be fully equipped and prepared for work of the Kingdom. Bishop S.E. Iglehart appointed him District Superintendent for the Historical City District on March 8, 2005. He also serves Texas Southwest as Chairman, for the Council of Pastor and Elders and Jurisdictional Coordinator for COGIC Urban Initiative. Superintendent Johnson has been married to Missionary Lynette Johnson for over forty one years. They are the proud parents of eight children, and seventeen grandchildren.